HARTFORD, Conn. – Home care workers hugged, cried and cheered when the State Senate, after a six-and-a-half-hour debate, voted in favor of granting home health care and child care workers in state funded programs the right to collective bargaining, days before the end of the legislative session. The struggle to win bargaining rights has been long and rough. When the state legislature failed to act last year, Democratic Gov. Dannel Malloy issued an executive order allowing the workers to vote on whether they wanted to affiliate with a union for the purpose of “meet and confer” sessions on wages, benefits and hours. For several intensive months the providers debated their options during hundreds of house visits and meetings. These low-wage workers, mostly women, have been struggling to make ends meet, on far less than a living wage. For early child care workers, reimbursements rates have not increased in ten years. In March, the child care and health care providers each voted overwhelmingly to join SEIU, forming Homecare Workers United. Meanwhile, the well-funded anti-union Yankee Institute for Public Policy filed three lawsuits against what they called the governor’s “forced unionization” of home care workers, in hopes of overturning the governor’s action and creating a climate of harassment and fear. “I believe our state government has an obligation to protect our most vulnerable, young and old alike. It’s my hope that elected representation will lead to better wages, and therefore more stability in each of the fields – a development that will help both client and care workers,” said Gov. Malloy as the bill was passed. Providers and their supporters organized visits and phone calls to their legislators in favor of the bill. 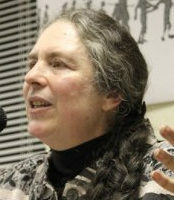 They were met by well-funded opposition and provocations, including an attempt to disrupt a Capitol press conference convened by the Connecticut Commission on the Status of Women to support the legislation. The final vote was along party lines, with 22 Democrats voting in favor and 12 Republicans opposed. The House has already approved the bill. 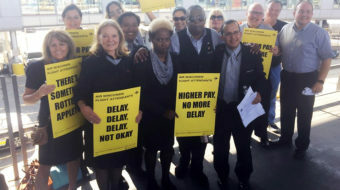 “Before the General Assembly passed this bill, we didn’t have the same rights that other workers in America have,” said Belinda Haynes, a personal care attendant from East Hartford. “Parents can keep their jobs and can feel good about who takes care of their children and have stable childcare they can count on,” said Annette Ridenour, a child care provider in New Haven. 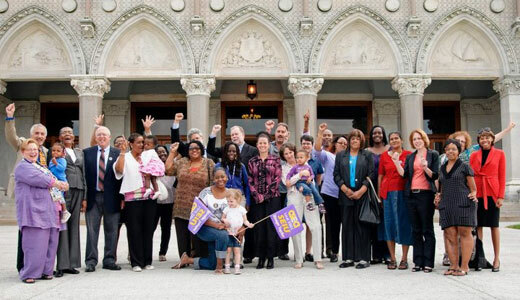 Photo: Home Care Workers United celebrate their union victory. Photo by Home Care Workers United.